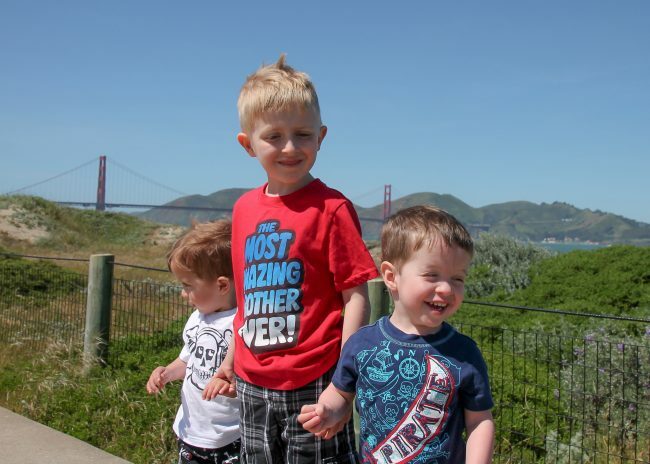 There is a word that people use when they hear we took a 12 day, multi-destination road trip with two year old twins- CRAZY! And that fits us. We might have been a little bit crazy to take a long road trip with two two year olds, but thankfully, we have traveled enough with the Goof and even the twins, for me to know what I needed to bring to survive the 12 day, multi-destination journey. 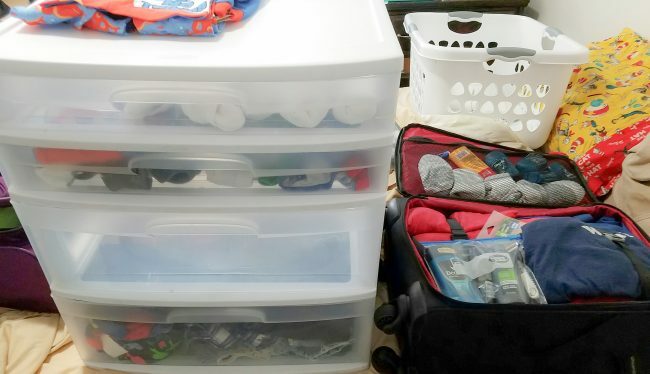 Today I want to share with you 5 surprising things I packed for our road trip with toddlers, and one common item I didn’t pack. High Chairs. It sounds crazy to take your high chairs on vacation, but with two toddlers, it actually is a life saver. Most hotels do not have enough chairs for more than 2 people, let alone 3 kids that you don’t want eating on the bed (oh the crumbs). And since we eat in our hotel a lot to save money, having high chairs is a must. The key to this is to have high chairs that fold pretty flat. We have THESE highchairs that we purchased off Amazon (for under $30). They fold super flat, especially if you take the foot rest off. I definitely am glad I had these for such a long road trip with toddlers. A Night Light. Being in an unfamiliar place, and having to get up with a child who wakes up because they are in an unfamiliar place, it is nice to have a little night light plugged into a wall somewhere. 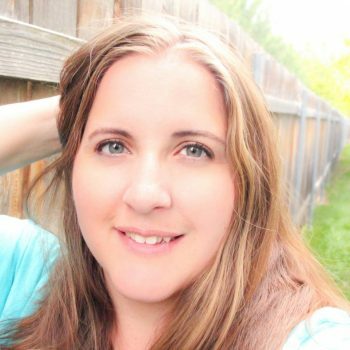 You can find out some other baby and toddler proofing items I take in THIS POST. Baby Monitor. I know it sounds strange to bring a baby monitor on vacation, but it was totally worth taking. In our first hotel, we knew we would have a separate living area and we have stayed in the hotel enough times to know it was pretty sound proof from the bedroom to the living room. Also, in another hotel, we had a little outdoor patio area and private hot tub for our room. We didn’t utilize the hot tub, but we did utilize the patio area. It was nice to be able to go out there after the kids were asleep and enjoy some time together, knowing we would hear them if they started crying. We have THIS baby monitor that we brought with us. 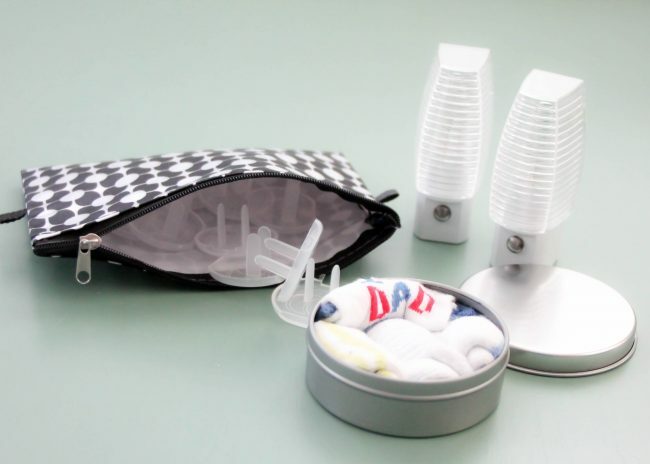 It is easy to bring and works great for the hotel. 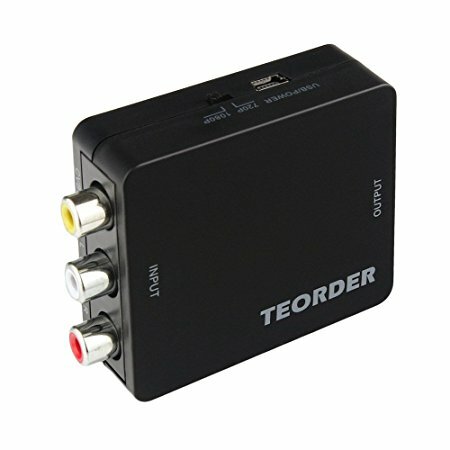 RCA to HDMI converter. Okay, the worst thing for a parent with little kids on vacation is being stuck in a hotel room. Even with toys, and baby proofing, our kids tend to go a bit nuts in the hotel. Times that by two toddlers and add in a super hyper 6 year old and we all go a little crazy. We like to take a portable DVD player in the car for the Goof, but we purchased a RCA to HDMI converter so we could hook it up to the TVs in our hotel. (Most hotels now have HD TVs and we have found many no longer have RCA inputs.) This way we could either put in one of our movies or even rent a movie from Redbox for the kids to watch while we did laundry, packed, etc. You can pick them up for pretty cheap on Amazon by CLICKING HERE. Then just be sure to bring your RCA cables and an HDMI cable. A Baby Gate or Pop Up Play Yard. Okay, this one will sound really strange but we actually took a baby gate with us. Mostly because we had stayed at our first (and longest stretch) hotel before. We knew that it had a beautiful location, and that you get a nice breeze if you open up the door. We wanted to be able to do this without worrying about our kids running out so we brought a baby gate that fits inside a door frame. It worked out great! Even if we didn’t have this hotel, I have found that traveling with a baby gate or a pop up play yard like THIS ONE can actually make any lazy hotel days a lot less stressful. Hotel rooms are not geared towards toddlers. So having a place for them to play is great. They fold up nice and small (comparable to a pack and play) so they really are not a hassle to take along. Just know, if your hotel room doesn’t have enough room for a pack and play, one of these probably will not fit. With all of this, you will probably be shocked to hear that there was one very common travel accessory we DID NOT take on our vacation. Especially seeing that we have two toddlers. We did not bring a stroller on our vacation. Yes, you read that right, we did not bring a stroller with us. This is like the number one “must bring” for a road trip with toddlers. But yeah, we didn’t bring one. See, I love our double stroller. It is AMAZING. We have the City Mini GT Double Stroller which you can find HERE. It is a side by side but fits through doors great. It pushes and steers so easy. I love, love, love my stroller. But we didn’t take it. See, we had to also take two hiking packs/carriers, two pack and plays, and then of course we took the items I mentioned above. 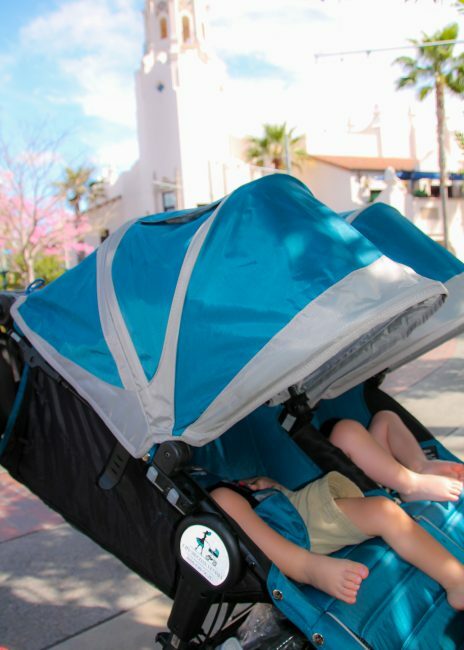 Our Stroller is quite large when folded and takes up a bunch of our trunk space…so we chose not to take it. We rented a stroller from City Stroller Rentals for our time in Disneyland. The stroller was waiting for us at our hotel and they picked it up from our hotel as well. We had thought about picking up a couple of umbrella strollers for the second leg of our trip, but never got around to it. We decided we would wing it and if we definitely needed one, we would pick one up. Guess what? It ended up being fine. 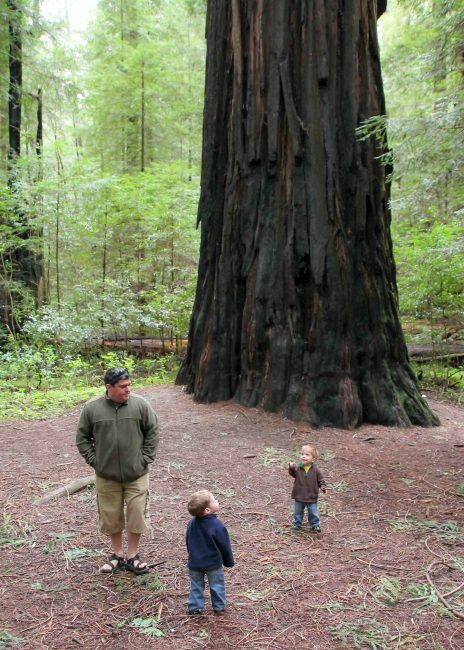 Outside of our hotel, most of our stops were at parks or in the Redwoods, and our kids were able to get out and walk. It actually worked out well and we didn’t miss it. We would have missed it at Disneyland if we hadn’t rented one, but we did great without it everywhere else. Maybe it is silly, but I am glad we chose to pack our high chairs and a baby gate over a stroller. 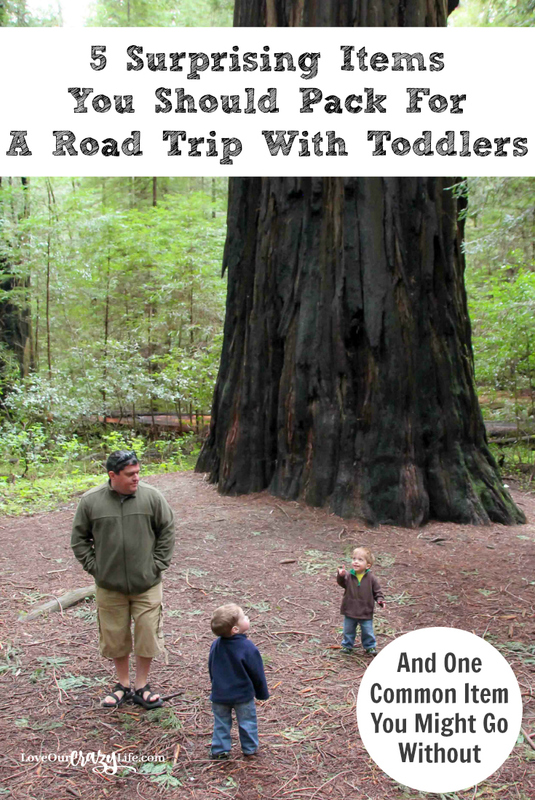 Do you have anything surprising that you pack for a road trip with toddlers? Leave a comment below letting me know. You might help someone else out.